Unemployment Appeals - In today's tough economy, layoffs and cutbacks have become more and more frequent. For many families, unemployment compensation provides needed financial support until another job can be found. Generally, in order to qualify for unemployment insurance, the employees must have earned enough wages within the previous year, and lost his or her job through no fault of their own. For skilled unemployment appeals lawyers for employers or employees, contact the unemployment lawyers of Fabisch Law, Offices at 401-324-9344. In order to receive unemployment benefits in Rhode Island, you must file a claim. unlike some other states, Rhode Island's Department of Labor and Training requires that the claimant themselves must file the initial claim. You can file your initial claim online at www.dlt.ri.gov/ui/fileclaim2.htm or by phone at (401)243-9100. What Happens after I file my claim for Rhode Island Unemployment Benefits? After you file your claim, your employer will be contacted and given an opportunity to object to your claim. 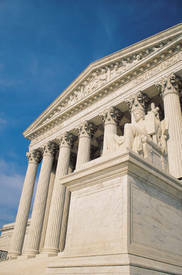 Your claim will then either be approved or denied by the Department of Labor and Training. Generally, you will be notified by mail if your claim is denied. I have been denied unemployment benefits, can I appeal? If you are denied unemployment benefits that you believe you deserve, you may appeal. Especially if the reason is related to job performance or exaggerated allegations of wrongful conduct towards your employer, an appeal may secure payments that are rightfully yours. How do I appeal a decision denying my claim for unemployment benefits? Appeals from the initial Department of Labor and Training decision must be filed by letter, fax or phone to the Central Adjudication Unit of the Department of Labor and Training. If you are a claimant who has received a denial letter from the Department of Labor and Training and would like help filing an appeal contact our offices at 401-324-9344. How long do I have to file my appeal? Appeals must be filed within 15 days of the mailing date on the initial Department decision. An Unemployment Compensation or TDI appeals hearing is conducted by an impartial hearing officer called a Referee. The purpose of the hearing is to decide whether unemployment benefits should be granted or denied. It is the Referee's job to make sure all parties receive a fair hearing. The referee will hold a hearing in your matter like a mini-trial where the Referee will decide your case after considering the testimony of all witnesses and other documents and evidence. You have the right to cross examine your employers witnesses and your employer has the right to cross examine you and your witnesses. You can also object to documents provided to the referee on certain grounds. The hearing typically takes place in a small conference room, You have the right to obtain an attorney to represent you in this unemployment hearing though unlike a criminal matter, no attorney is appointed for you. How much does it cost to have you represent me at the unemployment appeal? If we agree to accept your claim appeal, we will represent you at your hearing without cost to you (the state of RI pays the bill when we win an unemployment appeal). If you are a business seeking to contest an employees false claim for benefits, we will represent you for our normal hourly rate. I was fired, and my Boss told me I was not eligible for unemployment compensation, is there anything I can do? Yes. Even if you have been denied unemployment benefits because your employer reported that you were discharged for misconduct, you may still be entitled to unemployment benefits. Under Rhode Island law in order to deny you unemployment benefits an employer must prove that you engaged in active misconduct not merely poor performance. What does misconduct mean for purposes of Rhode Island Unemployment Claims? For purposes of unemployment, "misconduct" is defined as deliberate conduct in willful disregard of the employer's interest, or a knowing violation of a reasonable and uniformly enforced rule or policy of the employer, provided that such violation is not shown to be as a result of the employee's incompetence. If you have been denied unemployment benefits you have the right to appeal and to a hearing but you must act quickly, generally, Rhode Island unemployment appeals must be filed within fifteen days of a decision. For advice on your case today, call the unemployment lawyers of Fabisch Law Offices. My hours were reduced from 40 to 8 hours per week and I quit to look for full time work / I had to stay with my daughter at the hospital / I was hired to work mothers hours but later assigned to overnight shift am I eligible? Yes, possibly. Even if you quit your employment, generally if you were forced to quit due to circumstances out of your control you may still qualify for benefits. For advice on your case today, call the unemployment lawyers of Fabisch Law Offices at 401-324-9344. We represent unemployment appeal claimants at no cost to you. We get paid by the state when we win an appeal and get you the benefits you deserve. If you were fired or laid off from your job, you should be eligible to collect unemployment benefits. However, there are strict requirements that must be followed in order to receive such benefits and our unemployment lawyers have the resources and experience to help make sure that you receive the unemployment money you deserve. 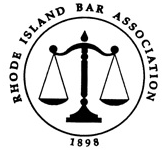 Our Rhode Island Unemployment Appeals attorneys will evaluate the reasons presented to the Department of Labor and Training in light of your personnel record, the employer’s previous history with unemployment insurance claims, and any possible retaliatory motives that might have driven the decision to object to your claim. Our ability to identify violations of workplace rights before your separation can often help strengthen your case for unemployment benefits while establishing the basis for additional claims in your favor.